Our team is what makes the heart and soul of Purna Yoga Retreat Centre. Our staff members are like our family and we care for each other with deep respect and love which is palpable and can be felt by anyone who comes to experience our retreat centre. 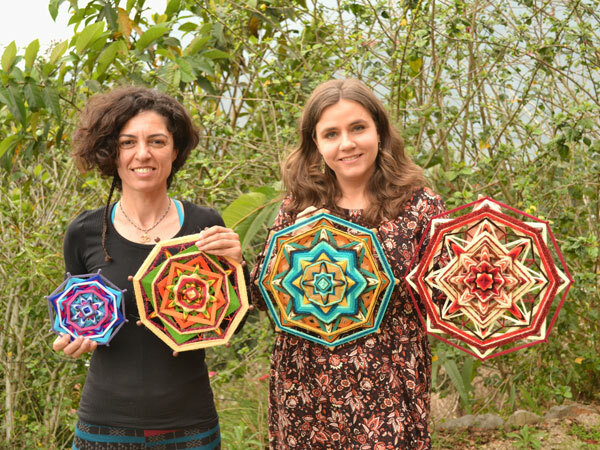 We all work together in unison to ensure a smooth operation and more importantly a cosy familial atmosphere, which encourages that which we wish to promote with our yoga activities – opening up and reconnecting with self, healing on an inner level and developing a strong personal connection with the life force within, all the while empowering each other in the process. Manohar comes from a family with a long yoga tradition and he started practicing yoga at a young age. His father Purna, who is a medical professional, has always been passionate about daily yoga and meditation practice and Manohar grew up immersed in his father's dedication to natural health and yoga, listening to the stories of his dream of one day opening a yoga centre. In his early twenties Manohar set off in the search for his path in life. He completed his travel and tourism degree and travelled Europe before he felt an inner calling and he returned to where he began – to yoga. Manohar has completed his pre-teacher training in 2006 following which he gained experience in teaching yoga to Nepali children and youth. Later the same year Manohar started working as a manager for a yoga centre for two years. He completed his yogic studies certificate in 2008 at the Bihar School of Yoga, Munger, India and gained a wealth of knowledge and deep understanding of yoga, which today makes him a very knowledgeable, attentive and caring yoga teacher. Manohar is a registered yoga teacher with Yoga Alliance as E-RYT 200 and RYT 500. 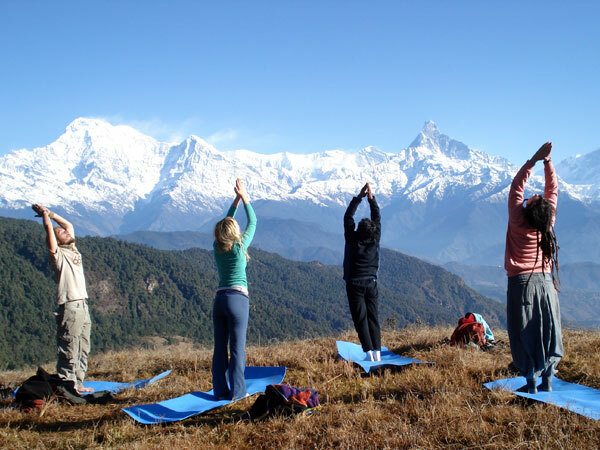 In 2008 Manohar started up Nepal Yoga Trek www.nepalyogatrek.com, an innovative approach to trekking in the Himalayas combined with yoga, which has become increasingly popular. This led to his opening of a yoga studio and later PEP Nepal empowerment project www.pepnepal.org. Until finally, with support and help of the Purna Yoga team and family, he was able to fulfil his father's (and by then also his own) dream of opening a yoga retreat centre. Agnieszka comes from a long tradition of natural health practitioners and she has been active in the field of yoga and alternative therapies for over 10 years. During this time she has been involved with many natural healing modalities like Kinesiology, Ayurvedic and Holistic Nutrition, Hatha Yoga, Aromatherapy, Acupressure, Chakra Therapy, Herbalism, Hypnotherapy, Reiki, Shamanism, Sound Healing, Ayurvedic and Lomi Lomi Massage. She has run a successful complementary medicine and natural health clinic in Dublin, Ireland for 5 years prior to moving to Nepal in 2013 and co-founding Purna Yoga Retreat. Agnieszka is a Yoga Alliance certified yoga teacher and is especially passionate about the transformational power of working with the body through Hatha yoga and through Lomi Lomi bodywork - a Hawaiian massage technique, which can be a deeply healing experience. Agnieszka is the first massage therapist to introduce Lomi Lomi bodywork in Nepal and she has organized training in this technique to other massage therapists in Nepal. Agnieszka currently divides her time between Europe and Nepal. She is actively involved in promoting Purna Yoga overseas as well as acting as a mentor and advisor on site. Laxman comes from Kalesti village in Tanahun district of Nepal. His father is an electrician and with his work he inspired him to become interested in all things electronic. Laxman initially planned to become an electronics engineer and he started his studies in the subject. He was a conscientious student, but as the course progressed he found some personal difficulties and he developed depression, anxiety and couldn’t contain his unhappiness and frustration. After much struggle and searching for relief he had heard about yoga and finally he found that he could release his tension and calm his mind. Laxman underwent one month yoga teachers training in Patanjali Yoga at Patanjali Yog Samithi in Kathmandu in early 2017. At Purna Yoga Retreat he spends a lot of time studying yoga science and developing his personal yoga practice and he enjoys his newfound peace of mind. Laxman is also learning to play harmonium at Indrayeni Sangit Pathashala music school in Pokhara. He wishes to become a fully qualified yoga teacher in the near future and in his free time he still enjoys fixing all things electronic. Maheswar took up the practice of yoga at the age of fifteen and from 1993 to 1996 he underwent 3 years of formal yoga training after which he started to work as a yoga instructor in Kathmandu. He received his advanced yoga training at Arogya Dham Yoga in Nepal in 2000 and was consequently invited to work in Singapore for two years to pass on his extensive knowledge and profound understanding of yoga. Maheswar completed his diploma in Yoga Teacher training at Yoga Vidya Gurukul in India in 2007 and has been a keen promoter of the benefits of yoga since he first started his own practice, vividly remembering his immune system as being very poor, making him suffer from high fever, stomach pain and tonsil problems two or three times a year before he became involved in yoga. Through his diligent daily practice he noticed major improvements to his health and once he realized the benefits, yoga became a major part of his life. Maheswar firmly believes that everybody who practices yoga regularly will definitely see improvements in their health and wellbeing. Agnideep has been immersed in the world of yoga, meditation and kirtan since his early childhood. His family home was located in the vicinity of an ashram, where he used to spend his free time. Since an early age his favourite activity was practicing yoga, meditation, reading spiritual books and learning about many aspects of ashram life. During later years his interest in spiritual matters diminished for a short while, as he got involved with his family's business and got caught up in, as he says, the material world for a period of time. During that time he suffered a serious accident and had to spend a few months recovering and this is when he re-discovered his passion for the path of yoga. As soon as he recovered, he left the business and went to India, where he travelled visiting many holy places and eventually settled in an ashram at the Bihar School of Yoga for one year to study and deepen his dedication to yoga practice and yoga philosophy. He joined Purna Yoga soon after returning to Nepal and today he is a very dedicated, caring and knowledgeable yoga and meditation teacher. He specializes in classic Hatha and Ashtanga yoga. Agnideep enjoys spending his time learning to play harmonium, studying yogic knowledge in great depth and his dream is to travel the world. Kush originally comes from Varanasi in India and he has been living in Nepal since 2015. Kush has become interested in yoga after his father passed away, this is when he started pondering the questions of life and death and came across yoga philosophy. Kush says that since he has begun his yoga practice he developed calmness, contentment, lightness of spirit and intuition. He says that he now has the energy to seek the truth and living in the state of happiness and love has become the essence of his life. Besides the spiritual benefits he has also experienced some physical benefits of yoga as his ailing lungs have healed since he started his practice. 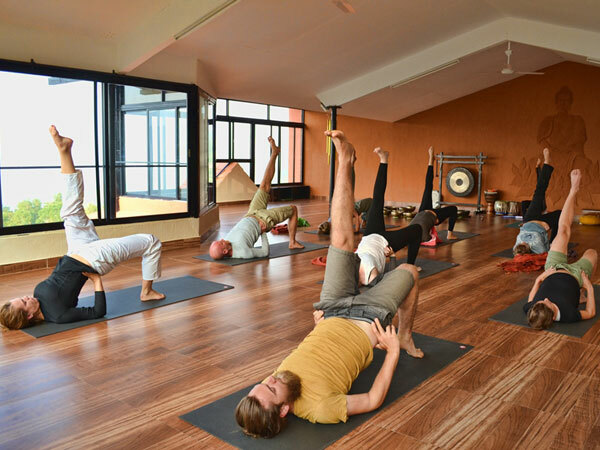 Kush has completed his yoga teacher training from Parimukti Academy in India in 2015 and in early 2018 he underwent a Yoga Therapy course with Yoga Vidya Gurukul and Iyengar Yoga course. He is a registered yoga teacher with Yoga Alliance as E-RYT 200. Kush has been teaching Hatha yoga, Asthanga yoga and meditation with Purna Yoga Retreat since 2016. In his free time Kush likes to cook, go for long walks with no destination, travel, meet people and share his knowledge, trek in the mountains and enjoy the silence. Chandra has been working as a restaurant manager until 12 years ago he developed depression and feelings of dissatisfaction with life. First he searched for help from conventional channels and when he hasn't gotten better, he turned to sound therapy, yoga, meditation and natural healing, where he found relief at last. Since that time Chandra has been actively involved in natural healing, yoga and meditation practices of various masters' lineages. He has been initiated into Kriya Yoga and he has completed his Yoga Teachers Training from Patanjali Yog Peeth in Haridwar. Over time he became especially adept as sound healing and he completed apprenticeship and various training in Chakra Balancing with Singing Bowls, Sound Yoga & Sound Vibration Therapy as well as traditional Singing Bowls Healing method throughout India and Nepal, Chandra has co-founded a Dynamic Health Group in his hometown of Bhaktapur, where he provided group support, training and meetings to people interested in natural health , yoga, meditation, and personal empowerment. Chandra has joined Purna Yoga in 2012 and he has been working as a singing bowl healing therapist and instructor as well as a yoga teacher since. Today Chandra provides healing sessions and training in sound therapy with the use of Himalayan singing bowls in Kathmandu. Raj Kumar comes from Banepa, a small town just outside of Kathmandu. His uncle is a yoga teacher in the capital and he has always encouraged Raj Kumar to take interest in the subject of yoga. With his uncle’s influence Raj Kumar started to practice yoga quite early in his life and especially in the last few years he has noticed the benefits. His body has become physically fit and flexible, he felt an increase in his overall wellbeing and on top of this his knee and back problems have disappeared and his digestion has improved. Encouraged with these positive developments Raj Kumar underwent one month yoga teachers training in Patanjali Yoga at Patanjali Yog Samithi in Kathmandu. Raj Kumar joined Purna Yoga in 2016 and In 2018 he completed Yoga Alliance certified 200hr Yoga Teacher Training at Rishikul Yogshala. Raj Kumar says that he wishes to always deepen his knowledge and experience of yoga so that he can apply that to his teaching. Beside yoga he also enjoys music and he is learning to play the tabla, djembe and harmonium, he likes travelling and exploring new places and he really enjoys being in nature. Dinesh comes from a small village in the area of Palung in Makwanpur district. He started working with Purna Yoga in 2012 – first as a cook and porter, but soon he showed much initiative in learning and he became a fully licensed trekking guide in our yoga trek branch. From there he gradually developed interest in learning about yoga as he was encouraged by our numerous guests, who enjoyed his peaceful and calm demeanour and his kind nature. Dinesh comes from a family of farmers, who dearly support his desire to develop his skills and interests. His little brother is very proud and inspired by Dinesh’s journey from starting his work without much experience and putting his effort to becoming one of the key members of our team. Dinesh's dream to become a fully qualified yoga teacher has been fulfilled when in 2018 he completed Yoga Alliance certified 200hr Yoga Teacher Training at Rishikul Yogshala. He now wishes to apply his knowledge and experience and to continue working at Purna Yoga Retreat as well as in our yoga treks and to develop his skills even more. Dinesh enjoys nature, the mountains and when he visits his home he also likes to take part in the village football tournaments with his friends and neighbours. Sapana comes from Nuwakot in Trisuli district and she moved to Pokhara in 2012. She comes from a typical small village with strong farming traditions and she moved to the city in search of other work opportunities and to improve the quality of life for her daughter. Sapana was introduced to massage therapy shortly after moving to Pokhara and she was happy to receive an offer of massage training from Mountain Spa in Pokhara. 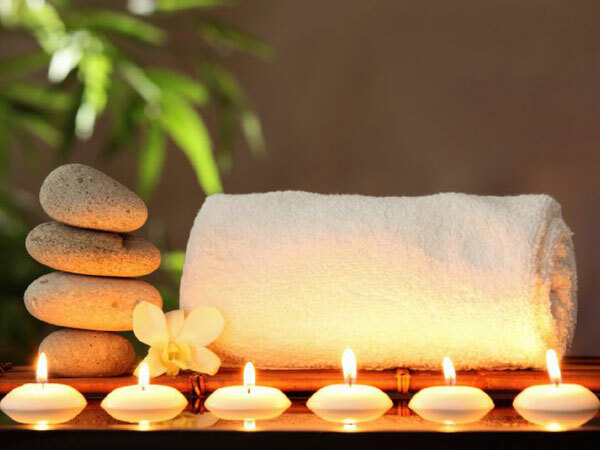 She underwent comprehensive massage training where she learned Ayurvedic Massage, Deep Tissue Massage, Thai Massage and Trekkers Massage and she has been working at Mountain Spa for three years after completion of her training. In 2015 Sapana started working at Purna Yoga Retreat and straight away she received glowing reviews from our guests. In 2017 Sapana underwent another training, where she learned a new massage style – Hawaiian Lomi Lomi massage and she has now added this new technique to her set of skills. In her free time Sapana likes to travel to her home village to visit family and friends. Binod is gentle, quiet and diligent by nature and he infuses his cooking with special care and attention to detail. We enjoy his healthful and yummy meals as much as we enjoy his company and his friendship. Binod’s first working experience was in India, Goa in 2013 where he spent 6 months learning and gaining experience as a cook in Green Hearts Hotel. Following this he returned to Nepal and worked as a cook in the Heaven Guest House in Manang for 1 year before joining Purna Yoga in 2014. Binod enjoys learning new things and in free time he returns to his home village and helps his family in farming vegetables. Kumar comes from a large family in one of the villages in Makwanpur district. He is one of eight siblings so he left home in his early teens to find himself a job and a vocation. He travelled to India where he started working as kitchen help first and then learned cooking. He first started working as a cook in "Shanu's Restaurant" in Goa for 2 years and then at "Manu Guest House" in Manali for 3 years. After returning to Nepal he joined Purna Yoga and now we cannot imagine our center without him. Kumar is very dedicated and he simply enjoys cooking so his meals are infused with his enthusiasm and taste extra special. Kumar also enjoys listening to Nepali folk music. Bijay’s helpful and kind manner as well as his dedication, makes him an important and a dearly loved member of our team. Bijay has been with us since 2013 and he works as a cook at the retreat center, cooking course facilitator and he has also been involved with guiding work during yoga treks. 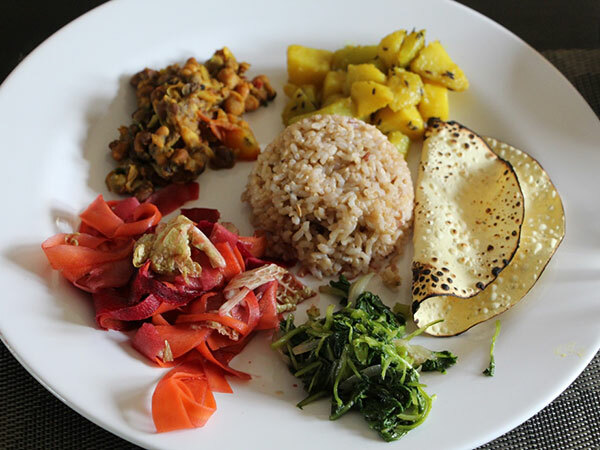 Bijay underwent cooking training at the Hotel Kantipur Center in 2009 and he has worked in several restaurants in Lakeside for 2.5 years following his training so he has a wealth of experience in preparing delicious and healthy meals. 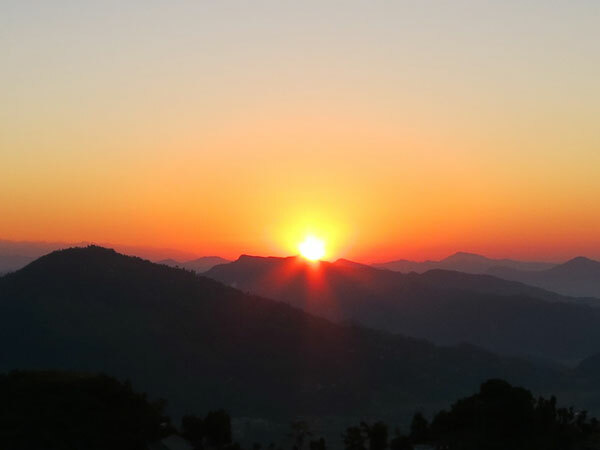 In his free time Bijay likes to sing, play guitar and listen to Hindi and Nepali music and he especially enjoys being out in nature on the trekking trails. Raj Kumar comes from a village in the area of Agra in Makwanpur district. He is the eldest of five siblings so he helps his parents to look after his younger brother and sisters. Few years ago his cousin encouraged him to travel to India where he started working as kitchen help. With time he learned how to cook at a seafood restaurant and he stayed in Goa for over a year. After coming back to Nepal he joined Purna Yoga and now it’s hard to picture our kitchen without him. Raj Kumar loves music and singing almost as much as cooking and our guests often hear his renditions of Nepali songs while he prepares the meals. Maya comes from Sindhuli in the south of Nepal and she has moved to Pokhara with her family in 2014. Maya has three children and she lives with her husband and mother in law in the neighbouring village. Her children attend the local school and pop in to the retreat center on their way to classes almost every day. Maya is quiet, dedicated, dependable and hardworking and she always has a smile for everyone. Outside of our center she looks after some livestock, grows vegetables and sells them in the local neighbourhood and in her free time she enjoys knitting and watching Hindi movies. Manisha is native to Pokhara and she comes from a large family with six siblings and she is the oldest daughter. Manisha is supporting her younger brother's education so she started to work in her teens in garment industry for two years and then she worked in housekeeping for Hotel Meera in Pokhara for 2.5 years. She joined Purna Yoga in at the beginning of 2015, she is very conscientious, hardworking and reliable. Manisha spends most of her free time in a local church, where she enjoys studying the bible and singing in a choir. Manisha also likes to watch movies and meet with friends. Sarsati comes from Pokhara and is the youngest of 5 siblings. She has a baby boy Sayiam who is currently attending pre-school. Sarsati’s husband works in construction and they are both very focused on providing good education for their son. Sarsati has worked at Hotel Eleven Inn in Pokhara in housekeeping for a year before she joined Purna Yoga in 2016. Sarsati has an interest in tailoring, she would like to learn this trade and she also would like to learn English language. In her free time Sarsati often goes to church, where she enjoys bible study and participating in the choir with her friends. Bibek comes from a small village near Palung, Makwanpur and he is the only child. His family’s work is all about farming vegetables, which are then sold at vegetable markets in the capital. His whole family including parents and wife are involved with vegetable farming full time. Bibek has a young son and his priority is to provide everything for his development and education. Before joining Purna Yoga in 2015 Bibek worked for five years as a truck driver. Bibek is very conscientious and detail oriented and he made himself very valuable to our operations. When free from work Bibek spends time with his family, looking after his son and helping his wife and parents with their vegetable business.